You can find your Boca Raton Motorcycle Accident Attorney from the Law Offices of Robert E. Gluck, P.A. Robert Gluck is devoted to personal injury cases and has extensive experience in this particular field having been a lawyer since 1989. Whether you have suffered an injury or loss as a result of a motorcycle or motor vehicular accident, a Motorcycle Accident Attorney like Robert Gluck can provide you with the legal representation and moral support you need. In order to move forward with a personal injury case as a result of an accident, your Boca Raton Motorcycle Accident Attorney must provide evidence of negligence. Negligence is proven when someone does not meet the standard of care needed to avoid harm to another person. If negligence can be proven, the at-fault party will be financially responsible for your injury and any medical expenses that go along with it. As your Boca Raton Motorcycle Accident Attorney, Robert Gluck will immediately work to gather evidence needed for your case. He will find any witnesses to your accident and get their statement, take photos of the accident scene, look for any video surveillance, and any other evidence needed. He will do everything in his power to build a strong case for you so you can walk away with the financial compensation you need to help with your medical expenses. 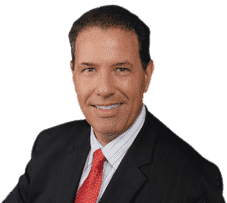 If you are injured in an accident as a result of negligence, you need to hire Boca Raton Motorcycle Accident Attorney Robert Gluck immediately. This will ensure he can start his investigation right away. He will assist you every step of the way so you are confident that the matter is being handled and you will receive the compensation you deserve. When you are legally represented during your case, you typically receive a higher compensation than someone who doesn't seek legal representation, according to studies. Having Robert Gluck on your side will give you peace of mind and the confidence that your case will end favorably for you.